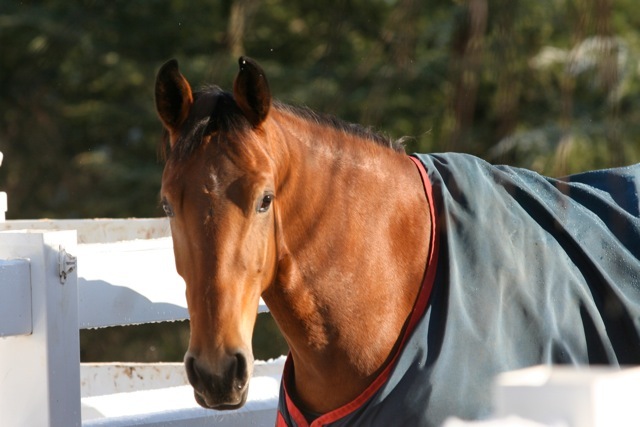 Shakira is a very pretty, fine type mare imported from The Netherlands. 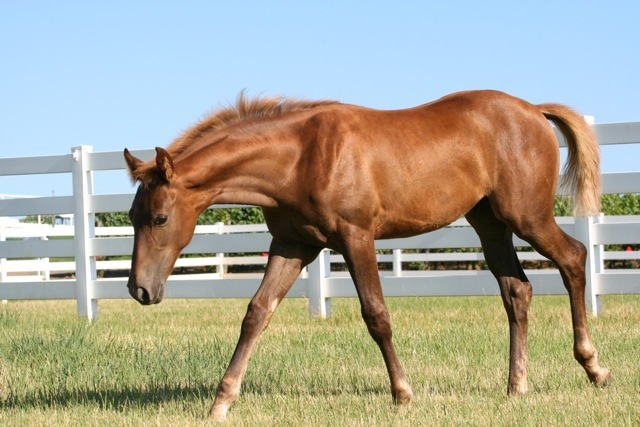 Her first foal by our stallion Nassau was a striking chestnut filly “Deluca,” recently sold to one of our local hunter/jumper trainers as a future prospect. 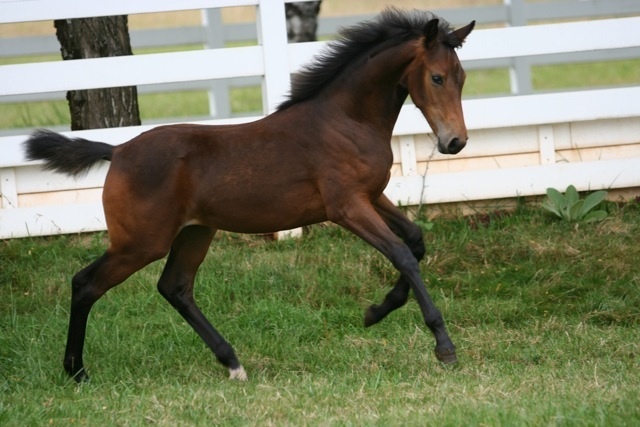 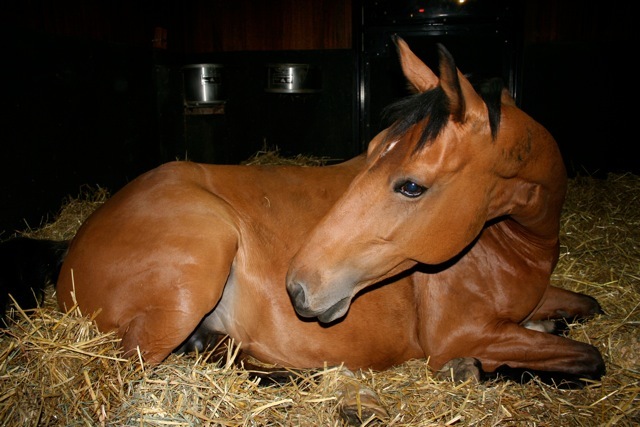 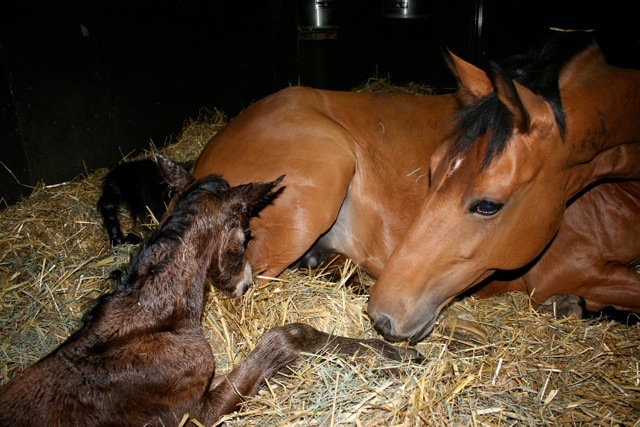 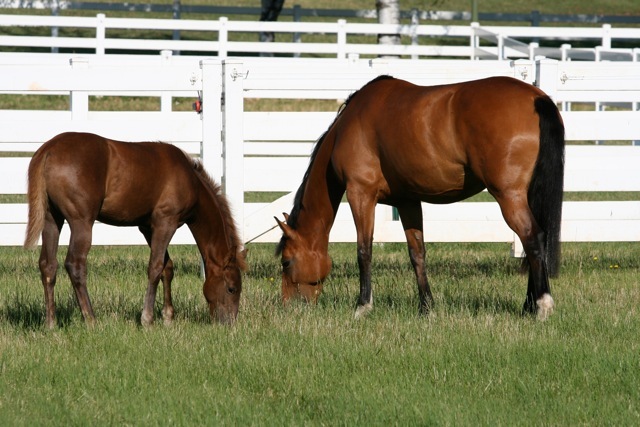 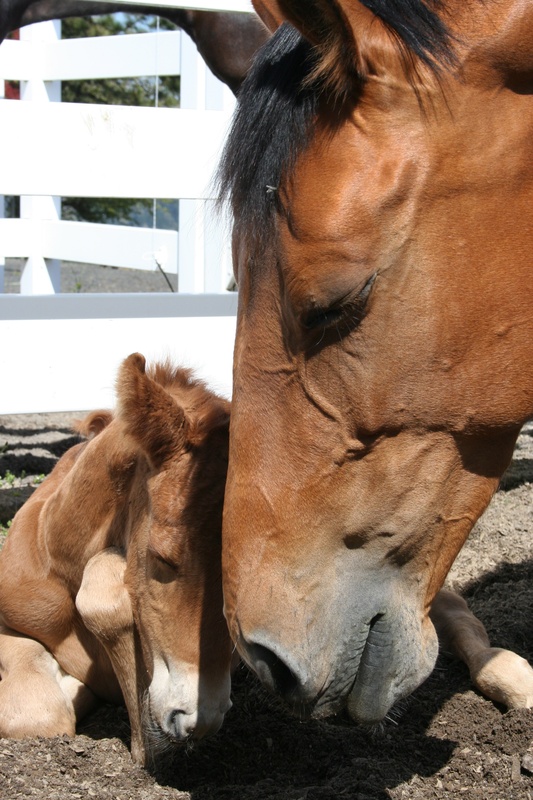 Her second foal, by “Metall,” was born in April of 2010 and is a long-legged dark bay filly. 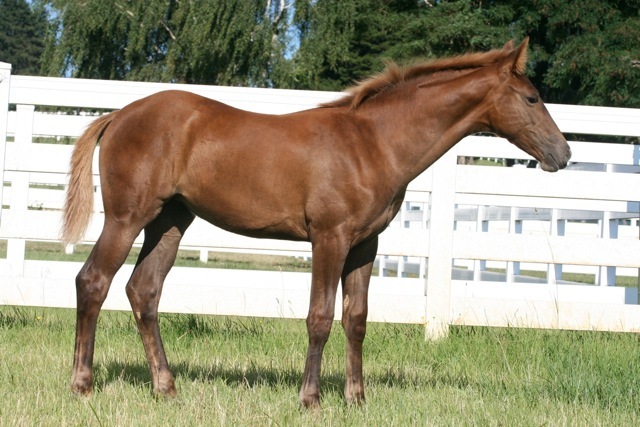 Shakira has proven her ability to produce quality offspring and would continue to be a terrific broodmare or could become a wonderful riding horse with training. 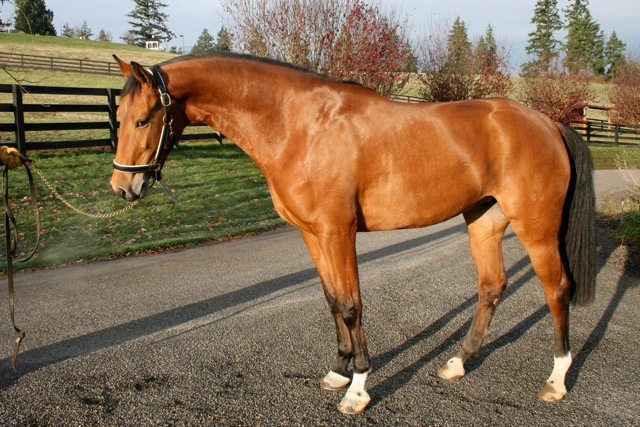 Her sale will include one breeding dose (frozen only) from one of the following stallions: Nassau, Caletino, Metall, Democraat, Inspekteur, Olympic Ferro, or Favory IV Delta.